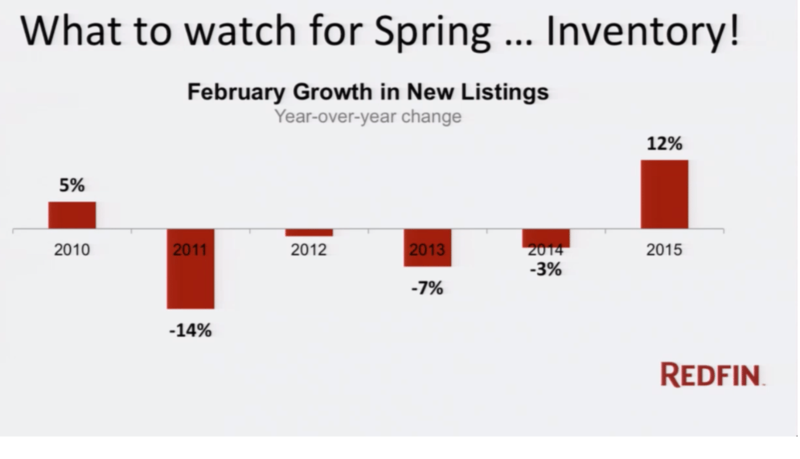 Nela Richardson, chief economist at real estate brokerage Redfin, pinpointed inventory as the key factor in whether real estate will have a huge 2015 or not during a presentation on Inman Select Live today. So far, a scarcity of homes for sale has been the limiting factor in a full-throttle real estate recovery, but if February stats are any indication, inventory might not be an issue this year, Richardson pointed out. In February, the number of new listings jumped 12 percent from the previous year, the largest year-over-year jump in the last four years, she said. 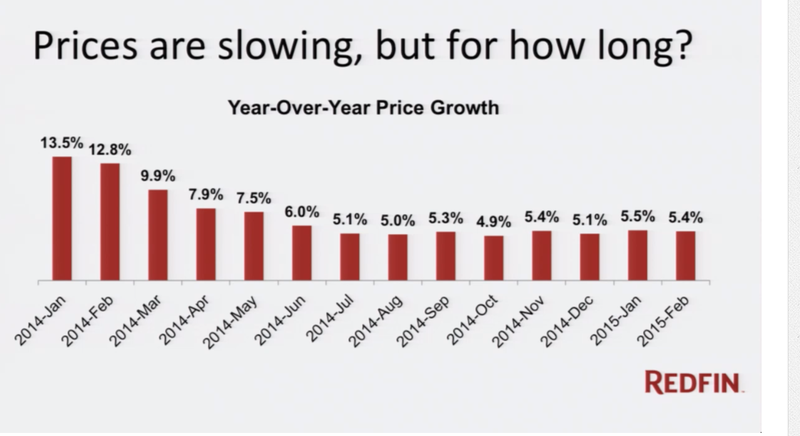 Richardson also pointed out that home price appreciation has begun to slow after a couple of years of large jumps. The sustained price growth coupled with its slowdown might prompt more homeowners who have been on the fence to list their homes this season, she said. In addition to a rise in housing inventory, Richardson said changes in Federal Reserve policy and an improving economy will bring mortgage interest rates up to above 5 percent by the end of the year. Click here to learn more about the benefits of Select membership and to watch the rest of today’s special online conference.